Sat between the Apennine Mountains and the Adriatic Sea in North-East Italy, Le Marche is a beautiful region of rolling hills and white pebble bays. Comparatively untouched by mass tourism, the area is full of places to explore both inland and along the iconic turquoise coast. With classic port towns, traditional countryside villages and stunning modern resorts, there is plenty for you to explore on one of our luxury Le Marche villa holidays. Check out this list for just some of the best places to visit in this hidden gem of a region! One of this quiet region’s most significant cities, Macerata sits atop the hills in the heart of Le Marche. 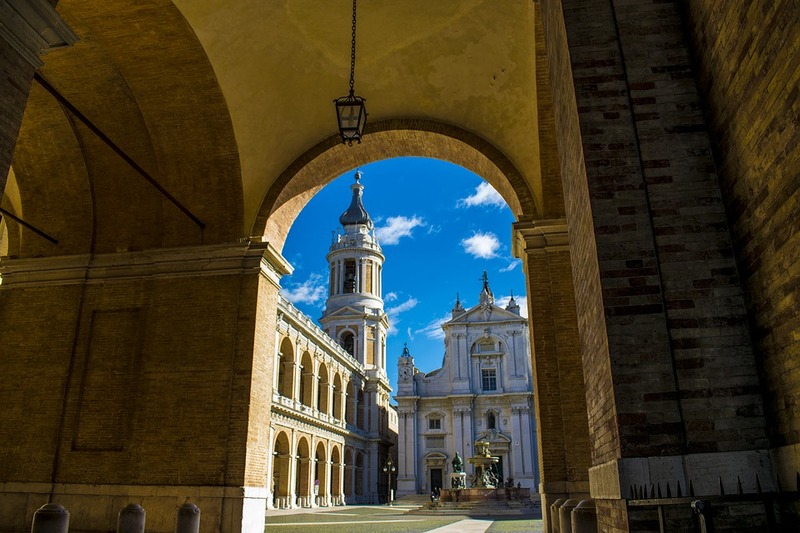 A beautifully old-fashioned town, Macerata’s university is one of the oldest in Europe, dating back to 1290, and its young student population runs throughout the city. A town scattered with historic, beautiful architecture, it is the location of one of Italy’s most important opera festivals. Running from July to August, the Sferisterio Opera Festival attracts crowds from all over Italy to Macerata’s iconic Sferisterio venue, a stunning open-aired opera house built in 1829. 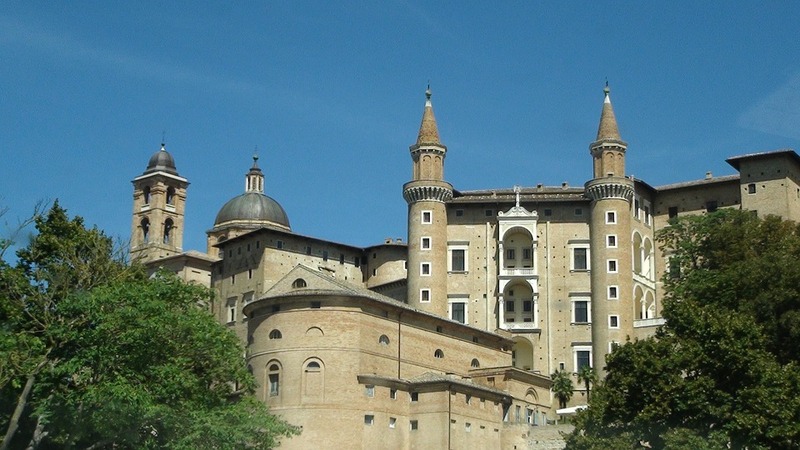 Arguably the most well-known tourist destination in Le Marche, Urbino is a small, unassuming hilltop city in the north of the region. While its exterior is somewhat humble, inside the walls that surround it lay some of the most incredible collections of classic Italian culture in the whole country. The birthplace of legendary renaissance painter Raphael, Urbino was one of the cultural capitals of Italy during its golden age, thanks to the Duke of Montefeltro, who invited some of the great scholars, painters and poets of the time to live there with him. One of the Dukedom’s most famous buildings was the Palazzo Ducale. The stunning palace was designed with the collaboration of some of the Italian renaissance’s great minds and has drawn comparisons with the fairy-tale castle in Cinderella. Nowadays it hosts the Galleria Nazionale delle Marche, one of the most significant renaissance art galleries in the whole of Italy. One of the most southern cities in Le Marche, Ascoli Piceno is seen by many as a stopping point on the northern border to Abruzzo. However, this sprawling town is full of history to explore of its own. With a lineage that can be traced all the way back to the 9th century, Ascoli is full of hidden gems for would-be travellers to discover off the tourist track. One of the most notable landmarks in Ascoli is the Piazza del Popolo. Not to be confused with the Piazza del Popolo in Rome, Ascoli’s market square was restored in the 16th century and is a regular meeting place for locals. Strikingly clear and elegant, this old square is the perfect place to spend an evening in this historic location. Loreto is a distinctly quaint commune on the hilltops by the Adriatic Sea to the east. The town does not offer as many tourist attractions as many of its rivals, but its importance cannot be understated. A profoundly religious location, Loreto is one of the Catholic religion’s most important pilgrimages, as it is believed to be the location of the House of the Virgin Mary. The story of how the building arrived in Loreto is an interesting one, as some believe that it was carried here by angels. Studies confirm that the building is originally from Palestine, and some suggest that it was likely brought to the region by a group of Christians. Now it is enshrined in the Basilica della Santa Casa, a beautiful religious building sat on the Piazza della Madonna. The central location along the picturesque Conero Riviera, Monte Conero is an imposing hill located just south of the port city of Ancona. Not quite tall enough to be classed as a mountain, Conero forms a beautiful Mediterranean escape lined with beaches and stunning white cliffs. There are plenty of ways to reach this remote region, but it is recommended that people walk through the wildlife surrounding it, adding to the sense of paradise people feel when they step out onto the while coast falling into the deep blue sea. Away from many of the tourist spots, Mount Conero is a real Italian escape. Le Marche is a hugely varied region that is perfect for people looking to discover a new part of Italy. Steep in Italian traditions that have been untouched by tourism, Le Marche is the ideal destination for a quiet escape. Discover more about this region by learning some fascinating facts about Le Marche!